The frost is on the LakeCountyEye pumpkin already. And operatives know that the last week of September -- with only 40 days left before the Presidential election -- clearly signals that is it time: It's that time again, to get on the ballot for the 2013 election! Haha, the Municipal & Township elections are just around the corner -- April 9, 2013 -- and the last filing date for ballot nominees is December 24. 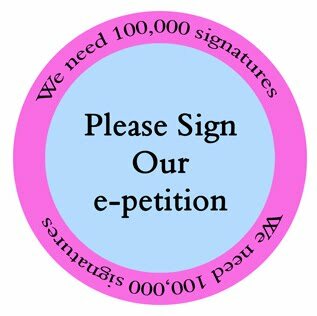 The petition period already began last Tuesday, so what are you waiting for? If you're not decided on what to run for, there are plenty of ballot offices waiting to be had by anyone with the wherewithal to get those 20 or 30 minimum required petition signatures -- while everyone else is frittering away the time Trick-or-Treating or Christmas shopping or cooking-up a Thanksgiving feast or some other junk. Look for your LakeCountyEye, in 2013, challenging your petition. Theater reviews are not ordinarily posted here. But your LakeCountyEye is a huge fan of the performing arts -- and the Lake County Kabuki Theater is now appearing in Buffalo Grove with performances of Antigone. Their interpretation of the ancient Greek classic is titled Lisagone and features some local talent. Former Buffalo Grove mayor Sid Mathias has the role of King Creon; the current Buffalo Grove Trustees stand in as the Greek Chorus; and former Buffalo Grove Trustee Lisa Stone has the title role, Lisagone. King Creon didn't abandon me when I stood up for the people, and didn't sell my soul for power. Instead, I went the distance and stayed true to my oath. Thank you, Creon, for having the integrity and courage to follow your beliefs. King Creon has been asked repeatedly to declare where he stands. Is he in league, as she claims, with the person who holds the ignominious distinction as the only elected official in state history to be recalled from office? This is not an academic inquiry. It is a matter of his reliability, credibility and judgment. It directly calls into question his capacity to adapt to changing circumstances and his ability to make sound decisions. The continuing silence from him is deafening. And it is telling as well. 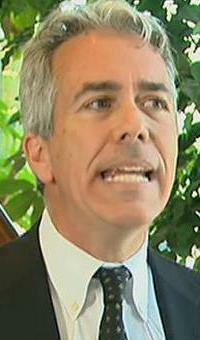 I do not support Lisagone. There is no collaboration between us. I have never supported her political agenda nor her methods or behavior at the royal palace. She is not now, nor has she been, affiliated with my campaigns for many years. Furthermore, I have told her repeatedly not to use my name in her statements and blogs. Lisagone can be seen in Buffalo Grove through the November election. And scheduled for the 2012-2013 season is the Lake County Kabuki Theater's revival of the Shakespeare comedy, Adieu, Gentlemen of Motorola. Starting Spring 2012, the Bettendorf Castle will be hosting private group tours. We invite you to take a tour of the exterior of the beautiful, historic Castle grounds. 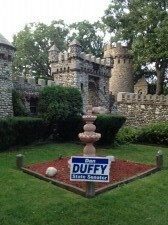 The castle is easy to find: just look for the Dan Duffy yardsigns. Your LakeCountyEye has learned that there are no less than four Duffy for Senate yardsigns waiting to greet visitors at the Bettendorf Castle. To the dismay of its neighbors, public tours of Bettendorf Castle in Fox River Grove could resume soon after a ruling by a McHenry County judge on Wednesday morning. Fox River Grove officials had argued the village code does not allow bus tours in residential areas, and the matter ended up in court after castle owner Michael Strohl was issued a zoning ordinance violation notice in August. There is an art to placing a yardsign. A yardsign in a Lake County roundabout, for instance, will get your campaign scores of repeat views from confused motorists as they drive in circles. But just about anyone who knows which end goes into the ground can plant a yardsign where it will get seen. The art is in placing that sign where it doesn't goad others into voting for your opponent. Look for your LakeCountyEye -- where else? -- stealing your yardsign. They say in politics, if you have a problem hang a lantern on it. For Lake County's ambitious Congressman, Peter Roskam, make it a candygram. 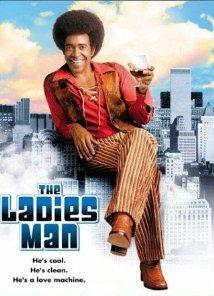 portraying him as a leading advocate of women's issues in Congress. The message is clear. Those unsure whether Peter Roskam deserves their support are invited to see for themselves: Contact the Roskam campaign and "Ask Peter" how "well-equipped" he is for the job. In the 1700s, when the Native American Waukapalooza migrated here, they settled along the banks of Lake Michigan in what is now Waukegan. Legend has it they recognized the site as a good location for an Indian Casino. Greetings from sunny Waukegan, where your LakeCountyEye is live blogging Waukepalooza 2012. Waukapalooza, it goes without saying, is Waukegan's rip-off of answer to Chicago's successful Lollapalooza music festival. Doubtless they must've thrown out the rule book when it comes to finding that perfect name to get your band some notice. Your LakeCountyEye recalls back in the day when his record label made Frank Zappa change the name of his band from The Mothers to the more commercially appealing The Mothers of Invention. Look for your LakeCounteye, tuning the ukelele. For the past six months — through focus groups, hundreds of street interviews and direct contact with our readers — we have been in an open dialogue with our readers in an attempt to create the best possible local news experience for you. Dold and U.S. Rep. Jan Schakowsky, an Evanston Democrat, face off in November for the newly redesigned 10th District Congressional seat. If their goal is to create media buzz for themselves, the new Pioneer Press is advised to sponsor some campaign debates between Jan Schakowsky and Robert Dold. Your LakeCountyEye would pay money to see that. One note to jilted Northwest Herald readers: Chris Krug may be gone. But the Herald's exceptional journalistic standards have followed him cross-town to the Pioneer Press.